What Do You Think? | My Cup Runneth Over ... and So Does My To Do List! I had mentioned earlier this year that I was thinking about changing the name of my blog. But after talking with my dear SIL, April, last night, I realized it wasn’t the name of my blog that I dislike, it was my blog header. The name still holds true. I am still blessed to the point of my cup running over, and I still have a list that is so long that it runs over as well. So obviously, the name still fits. As for the blog header though, it had no life whatsoever! Now don’t get me wrong, I LOVE a good cup of coffee, but only if I am getting to consume it. You can sit a cup of coffee down in front of me, and I can only look at it for so long before I HAVE to drink it! So having a picture of a cup of coffee at the top of my blog was not only boring, it was also a tease. What do you think? Pretty cute, huh? 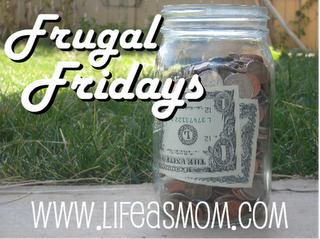 Read what others are doing to save money at LIfe As Mom. I love it! Now I can not wait to change mine! I actually love your header, but if you are serious I would love to help you!!! I love this program! Or you could download it and I could help you if you needed the help! You could use the same pic you have and add some texture to it! Do you still have the original photo? Yes, I still have the pic somewhere although that might be on the computer that is headed to the shop. I will check later tonight. I found where I had the picture, from the time that I added the title to it in my PhotoBucket.com account. I have created a couple of really cute (or I think so anyway 😉 ) headers using your picture if you would like to see them! Your header looks great. I can’t make any design changes to my blog on my own… so good job! Brandi, I love your header too. I am totally new to the blogosphere so this tip is especially helpful for me. My husband is working on figuring out a hosting service which means most likely things will be changing. I may just need that free blog header. I like the header with my children but I couldn’t figure out how to have the name of my blog embedded in the picture without it covering up their faces! Thanks for the tip! Thank You! And thank you for visiting my blog! I am still “new” at this too. I have had my blog for a while now, however, I haven’t used it as much as I was hoping to. To blog more often is one of my goals that I have set for myself this year! I hope you enjoy the photo program and have fun creating your new blog header! There are many font choices, and you can put your text anywhere you want it!